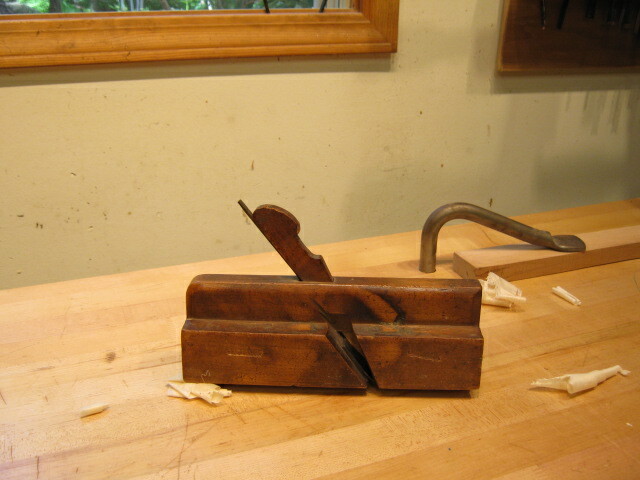 I added some new old tools to my for sale page today including some good user molding planes, a Stanley 42 saw set and some misc. stuff. 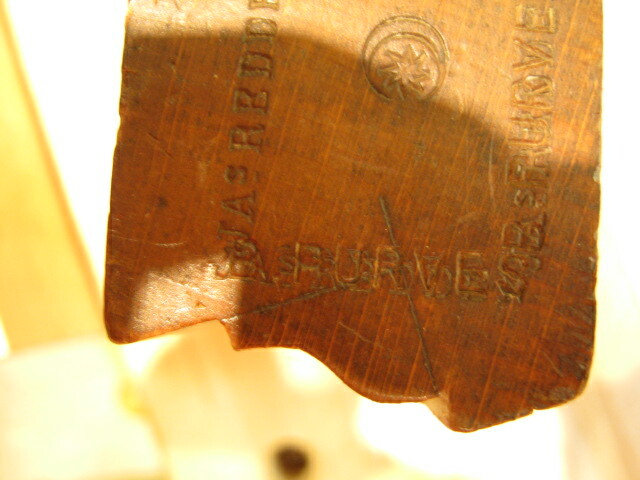 I’m presently sorting through a bunch of tools I brought home from an auction last weekend. I’ll be posting lots of new stuff soon so keep an eye out. Forgive the lack of updates in the past few weeks. We recently welcomed a new baby into our family. We’re now suffering the customary lack of sleep and free time. As such, my blog entries will be less frequent, but I’m still here. Thanks for reading! 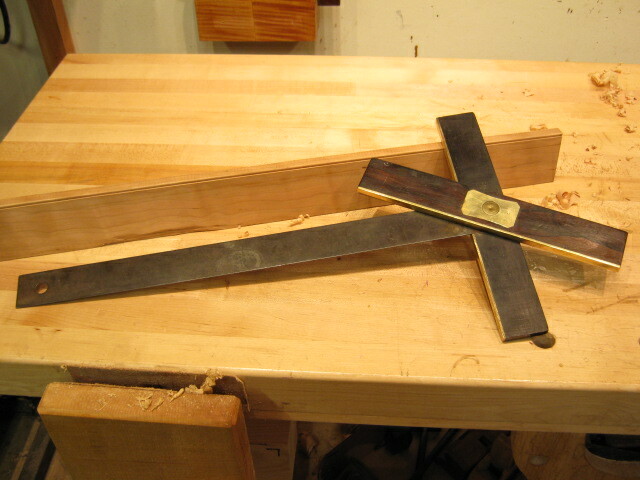 I added four good user molding planes to my for sale page today. I added a new Disston advertisement to my Old Tools Advertisements section of my site. 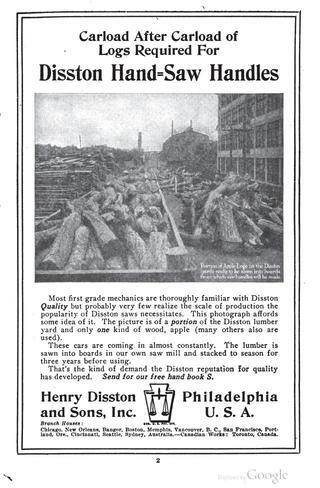 This ad has a great picture of the Disston lumberyard. Specifically, it shows a portion of the apple logs waiting to be sawn into boards for saw handles. This photo really puts the size and scope of the Disston operation into scale. There must be thousands of apple logs in this photo, and this is just a “portion” of their apple inventory at this particular point in time. It’s an amazing amount of wood. This is one reason I love old advertisements- they take us back in time to when these tools were being made and provide us with valuable insight. 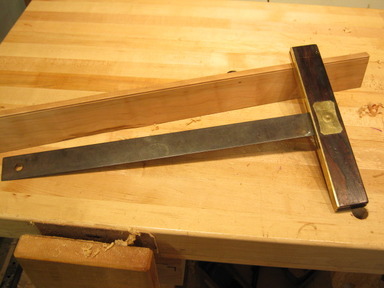 Added five nice tools for sale: Wooden Dado, Panel Saw, Squares, Hollow Auger. I hope you find something you like! 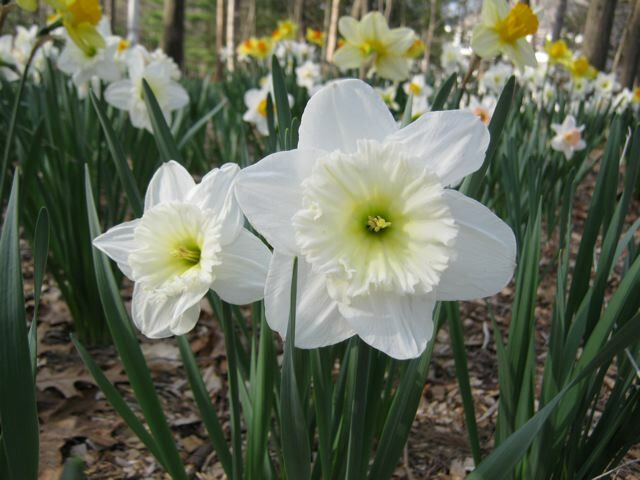 Early Spring is my favorite time of year. Here are some views from our yard. Lungwort (Pulmonaria officinalis), Bleeding Heards (Dicentra sp. 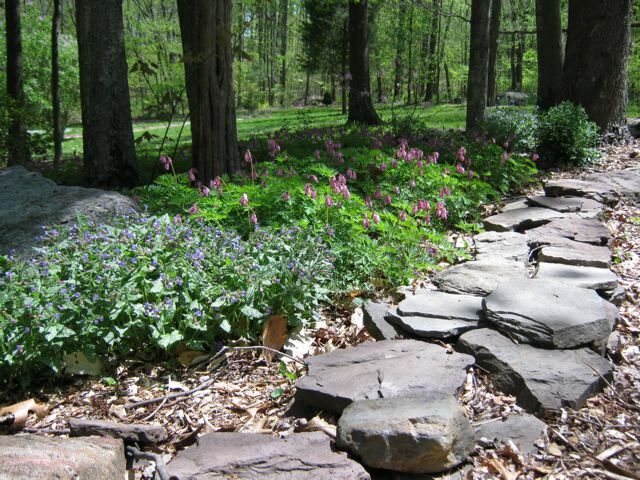 ), Pink Shell Azalea ( Rhododendron vaseyi), and Jacob's Ladder (Polemonium reptans). Most grown from seed.